See specifications and museum photo below illustration. 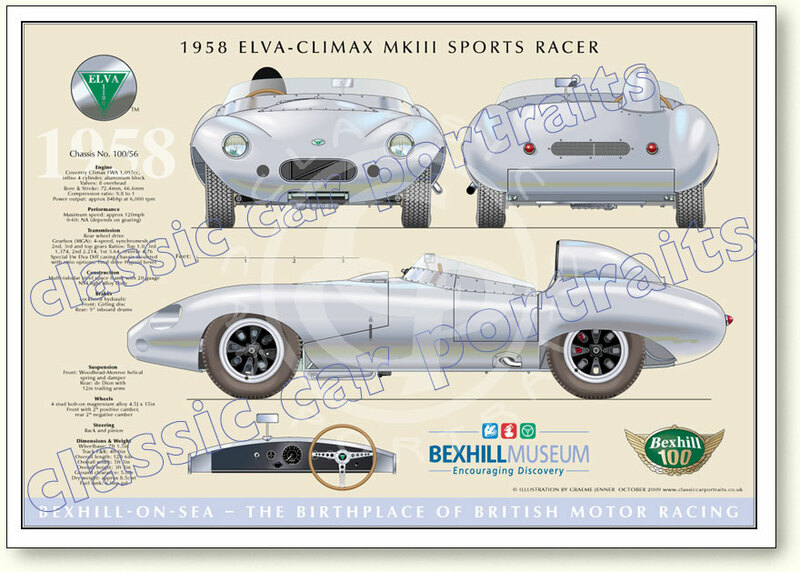 PLEASE NOTE: print of Elva MkIII shown below only available to UK residents from the souvenir shop at Bexhill Museum. Bexhill Museum.